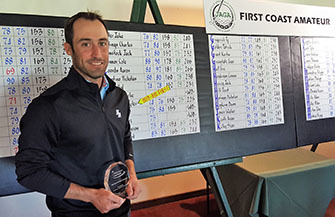 JACKSONVILLE, FL – A 25-foot birdie putt on the 54th hole sealed victory for Stephen Shephard of Niceville, Fla. in the Jacksonville Area Golf Association’s third annual First Coast Amateur at Hidden Hills Golf Club. The Huntingdon College (Ala.) senior was steady as a rock in posting rounds of 72-73-73--218(+2), particularly the last two days when an Arctic blast dipped into North Florida causing temperatures to hover in the 40s and winds to gust up to 30+ mph. Finishing runner-up and two shots back after three trips around the 6,892-yard layout was Logan Sowell of Kershaw, S.C., a junior at the College of Charleston. The first-round leader of the event both last year (T6 finish) and this year recorded scores of 70-75-75—220, which matched Cole Bradley’s winning total in 2018. Two more shots back in third place was Germany’s Philipp Matlari of the University of West Virginia. He shot 72-75-75—222. Shephard and Sowell shared the lead standing on the 18th tee at 3 over having matched scores on holes 13-17. Shephard's tee shot found the fairway while Sowell’s was in the left rough. The latter’s approach came up short and left before Shephard drilled his 8-iron into the heart of the green. Sowell’s pitch would run by about 10 feet, setting the stage for his opponent to claim a two-shot victory when he dropped his 25-footer. The duo entered the final round tied at 1-over-par 145. Shephard went out in 39 to Sowell’s 38.In the end result, a double-bogey by Sowell on No. 10 proved to be the difference. He would post 37 to the winner’s incoming 34. Shephard would collect the champion’s trophy before jumping in the car with his parents Carl and Kelly to return to their home near Pensacola for an abbreviated sleep, then get back in the car to head to Montgomery for an 8 a.m. class on Tuesday. Shephard has enjoyed a solid career at Huntingdon. He was USA South Conference freshman of the year in 2015 and a second-team All-American in 2017. Huntingdon has a strong pedigree in college golf having won six NAIA national championships in the 1980s and 1990s. One of the top players during that era was another Panhandle native and future PGA TOUR/PGA TOUR Champions winner Joe Durant. Since rising to NCAA Division III status in 2005, the Hawks have qualified for 10 national championship tournaments. Defending champion Cole Bradley of Purdue, who lived in Jacksonville from age 5 to 13,finished tied for sixth at 224. The youngest player in the field, Gordan Brixi, turned in an impressive performance, finishing tied for sixth with Bradley. He was one of three 16-year-olds in the field (Nicholas Hofman, Alexander Waller). Brixi was born in China and now lives in Potomac, Md. 2010 U.S. Naval Academy graduate Tyler Gulliksen of San Diego ran away from the Mid-Amateur field, claiming a six-shot lead over Michael Smith of Ponte Vedra Beach, Fla. Gulliksen finished tied for ninth in the Championship division. Two shots behind Smith in third was Devon Hopkins of Jacksonville Beach, Fla. Smith and Hopkins will be teammates next month (Feb. 18-19) at the Underwood Cup at Timuquana Country Club. Joining Shephard in doing a nice job dealing with the elements, Gulliksen fired 74-76-75—225(+9). The 31-year-old drove from San Diego to Jacksonville last week to visit friends in Daytona Beach and play the First Coast Amateur. His next destination is Washington, D.C. and a new job with the Navy. Top finishers in the JAGA First Coast Amateur receive World Amateur Golf Ranking points for the second year in a row. A field of 78 stellar amateur golfers ranging in age from 16 to 64 competed in the 54-hole championship. The contestants represented 16 states, 26 colleges and eight countries. 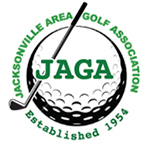 The First Coast Amateur was sponsored and conducted by JAGA, which annually promotes Jacksonville’s top-level amateur competitions and has since 1954. It is the only JAGA-run event that is promoted nationally and features multi-state and multi-national participants. Editor’s Note: Some details used in this press release credited to Garry Smits/Florida Times-Union. The First Coast Amateur some of the nation’s top amateur, collegiate and junior talent, a handful of international players, and many of the best golfers from North Florida and other Florida cities. Contestants must be 16 years of age . The championship is 54 holes of stroke play and ends on the Martin Luther King holiday. All competitors will vie for the First Coast Amateur title. A separate tournament within the tournament for mid-amateurs, those age 25 and older, will also be contested.